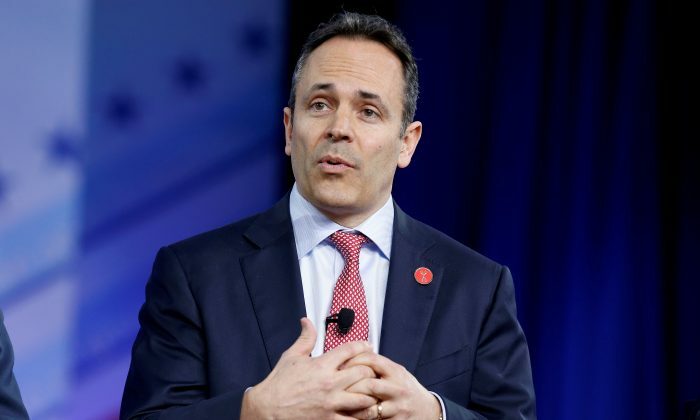 The Kentucky House of Representatives passed legislation on March 27 to ban a common abortion procedure from the 11th week of pregnancy, in what would be one of the strictest abortion limits in the United States. Officials at Bevin’s office could not immediately be reached for comment. The House voted 75–13 in favor of the measure. It previously passed a similar version of the measure but had to approve changes the Senate made. Both bodies are controlled by Republicans. The procedure covered by the legislation, known as dilation and evacuation, accounts for 16 percent of all abortions performed in Kentucky. It is primarily used for pregnancies in the second trimester. The new law makes an exception for medical emergencies. Last week, Mississippi’s governor signed into law the most restrictive abortion measure in the United States, banning all abortions after the 15th week of pregnancy. However, a U.S. federal judge temporarily blocked the Mississippi law from taking effect, while the judge considers whether to stop the law from taking effect until the outcome of a full legal challenge. Since last year, when Republicans took control of the Kentucky House for the first time since 1921, the state’s legislature has passed several measures to restrict access to abortion, including banning all abortions after the 20th week of pregnancy. Critics have said the latest bill will almost certainly face a legal challenge. Last year, a similar measure passed by Texas lawmakers was struck down by a federal judge. Similar bans in other states including Alabama, Arkansas, Kansas, and Oklahoma have also been struck down by courts.